Mary Alice Johnson Scott, age 69, of Hardy, KY, passed away January 29, 2019 at Pikeville Medical Center. She was born October 7, 1949 in South Williamson, KY to the late Cap and Emma Jean Pinion. In addition to her parents, she is preceded in death by her first husband Clifford Johnson, her second husband, Clifford Scott, her brother, Shay Pinion, and her sister, Pamela Davis. She is survived by her daughter Tonya (Jason) Fields and her grandson, Brian Fields, both of Hardy, KY. At the request of the family, there will be no services at this time. 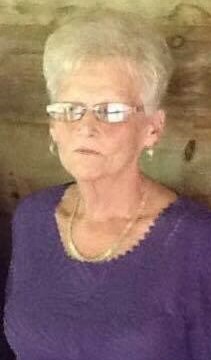 Arrangements are under the direction of Crum Funeral Home of Inez, KY.